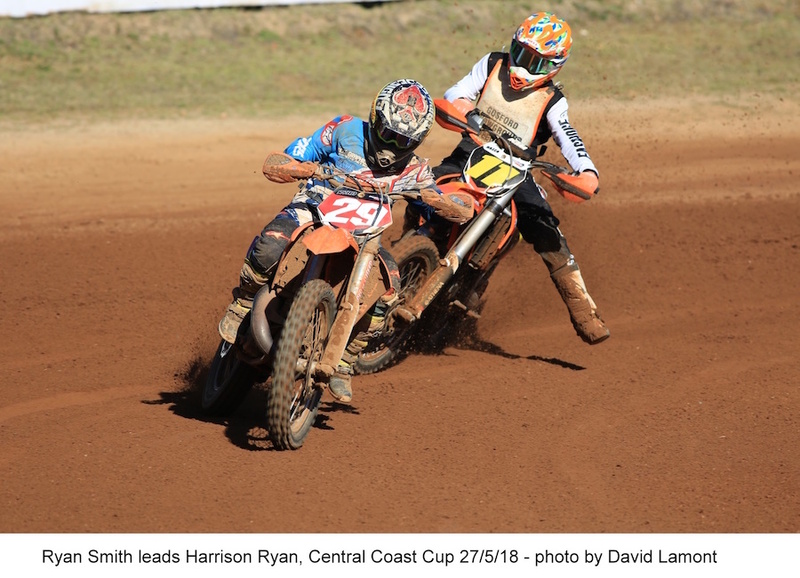 Many of Australia’s best young motorcycle talents will again descend on the Central Coast this weekend for the 2018 Worthington Motorcycles Honda New South Wales Junior Dirt Track Championship meeting. The Central Coast Junior Motor Cycle Club will host the meeting at its Allen Park track at Debenham Road North at Somersby on Saturday and Sunday. Local MP Liesl Tesch will officially open proceedings at 9.30am on Saturday and all competing riders this weekend could obviously draw great inspiration from the amazing sporting achievements of the seven-time Paralympian. Riders from Queensland and Victoria as well as all over New South Wales will take part in the meeting. Riders in the 13 to 16 years age bracket invariably attract the most attention and this action looms as a battle between all three states. Queenslander Cyshan Weale was the stand-out performer at last month’s Australian Junior Championship meeting, getting the better of local riders Ryan Smith and Harrison Ryan who will be out for revenge this weekend. Among the other leading contenders are Kurri rider Jayden Rogers, who finished second to Smith in the Central Coast Junior Cup earlier this year, Victorian Max Berry and another leading Queenslander Tristan Adamson. Many riders through the younger age brackets have already compiled impressive records and this invariably leads to close, hard-fought racing throughout all classes of competition. Host club rider Jacob Roulstone will be out to repeat his success from the Australia Championship meeting as he again takes on quality opposition headed by Gold Coast rider Harrison Voight, Tom Drane from Forbes and Archie McDonald from Albury-Wodonga. Cameron Dunker from Kurri, Hayden Nelson from Taree, Jayden Holder from Kempsey and Queenslanders Riley Nauta and Jett Kubelka are just a few of the previous title winners who are expected to be prominent this weekend. Practice and then the first round of racing will follow the official opening on Saturday, while it will be a 10am start on Sunday. Entry for spectators costs just a $5 donation, per vehicle, to St Johns First Aid.